Uttarakhand in North India is an adventure-seekers paradise and a hotspot for travellers and trekking enthusiasts, who flock here by the thousands for its incredible scenic beauty and tranquillity. Any of the top treks in Uttarakhand take you past lofty mountains, alpine meadows, frozen waterfalls, glaciers, and mysterious lakes. Here are the top treks in Uttarakhand for you to choose from. The gorgeous Valley of Flowers in Uttarakhand is a world heritage site located within the Nanda Devi National Park in the far interiors of Garhwal Himalayas. As far as the top treks in India go, the Valley of Flowers is a favourite amongst tourists and yet the beauty of the valley remains untouched. Every year, over 300 species of wildflowers bloom across the valley, including rare species of orchids, poppies, Cobra Lily, anemone as well as the elusive and rare Blue Poppy, and Brahmakamal. Apart from this, there are waterfalls, glaciers, towering mountains, mighty rivers and quaint villages to be seen, making it a top trek in north India. The months of July and August are the best times to undertake this trek as the flowers are in full bloom during this time. Roopkund is a glacial lake nestled in the Garhwal Himalayas. Situated at an altitude of 16,500 feet, the lake is completely uninhabited, desolate and is surrounded by snow clad mountains. The lake offers you a rare chance to see the ancient remains of human skeletons that surround it, making it one of the top treks in India. On this adventure, you will trek through verdant green meadows, climbing to more barren heights as you get closer to giant Himalayan peaks, and there’s usually a good chance of snow at the lake itself. The best season to visit is in summer from May to June and then September to October. Chopta is a quaint hill station in the Kedarnath wildlife sanctuary and it is popularly known as the 'Mini Switzerland’ of India. The beautiful Chopta-Chandrashila-Tungnath region is a famous destination for trekkers and thrill seekers, and is one of the top treks in India. The Chandrashila mountain peak is a summit of 13,123 feet and is home to Tungnath, the highest Shiva temple in the world. The trek is a moderately easy one, but the Chandrashila climb gives you the fun experience of trekking peaks in India. The best time to visit is from April to November, however the trek is also popular during the winter because of the snowy beauty. Kedarkantha is a beautiful ridge peak in the Tons River Valley, Uttarakhand, India. At 12,500 feet, the summit offers stunning 360-degree views of some of the highest Himalayan peaks like Bandarpoonch, Swargarohini, and Black Pearl. The Kedarkantha trek lets you camp at Juda-ka-Talab, one of the prettiest campsites around, set alongside a small pond amidst oak and pine forests. The Kedarkantha trek is one of the top treks in India because of the mountain’s easy accessibility throughout the year. The best time to visit is between December and March, when the landscape turns from beautiful to spectacular. A snow trek to Kedarkantha will take you along a trail that is completely covered with thick, pure white snow. Har ki dun, which translates to the Valley of Gods, is one of the least explored top treks in Uttarakhand. 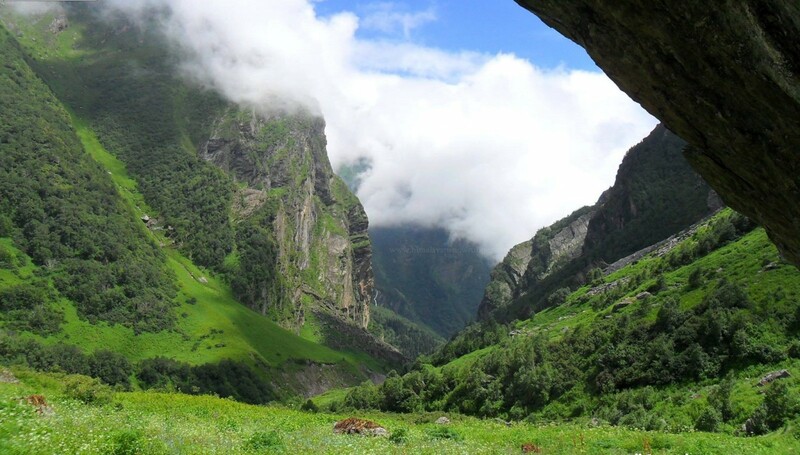 The Har ki Dun valley lies at the base of the Fateh Parvat at 11,646 feet in the Govind Wildlife Sanctuary and National Park which is a stunning region in itself. Your trek is a mix of peaceful walks and adventurous ascents with some steep climbs. The trail takes you through apple orchards, green valleys, wildflowers, and streams everywhere. This top trek in Uttarakhand offers spectacular views of the other famous peaks in the region such as Banderpoonch, Swargarohini etc and the best time to visit is mid-May to June and then September to October. 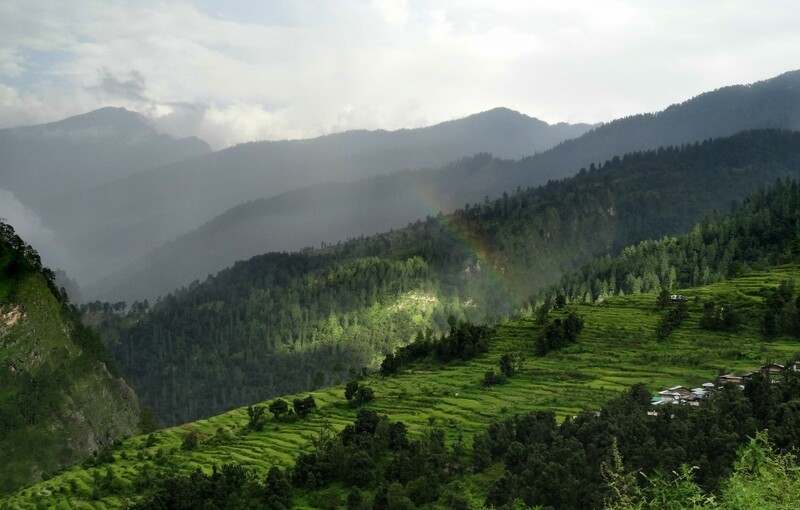 The Nagtibba trek is one of the top treks in Uttarakhand because it takes you to the top of Nagtibba at 10,000 feet, but is suitable for beginners as well as seasoned travellers. You’ll trek through forests of oak with orchids dotting the trail. Goats and woolly sheep graze on the slopes around you, and you’ll see high Himalayan peaks like the Bandarpoonch peak. At night, you’ll camp in open meadows under clear starry skies, amidst wild mint and fragrant shrubs. 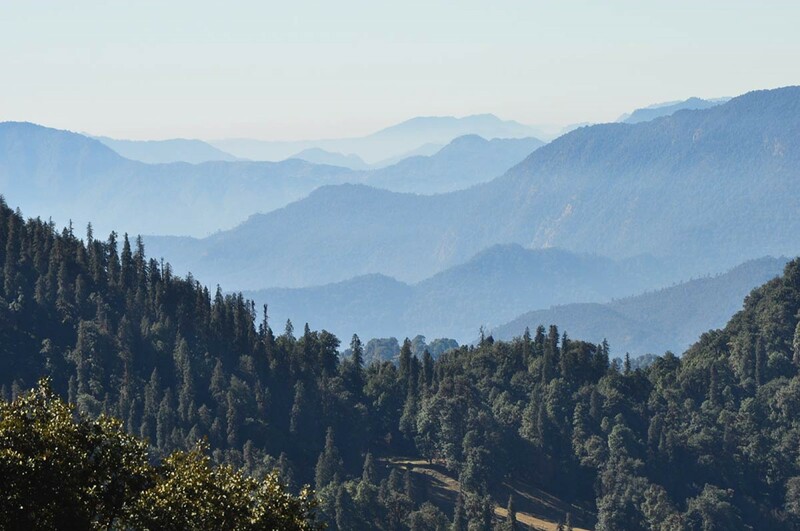 The summer and winter months are the best time to attempt the Nag Tibba trek. The Kuari Pass trek is one of the few trekking destinations that is open in the winter, which makes it a top trek in Uttarakhand. It’s also a popular end-of-the-year trek for those looking for a snowy challenge. This trek is moderately easy, except for the summit to Pangarchulla peak, which stands tall at 15,419 feet and puts your climbing muscles to the test. One of the top treks in Uttarakhand, this trek takes you through endless green meadows, alpine forests, and past towering Himalayan peaks with enchanting panoramic views of Nanda Devi, the Chaukhamba Range, Mana peak, and Kamet peak. The best season to visit is in summer from April to June and then in September to November. One of the lesser-known, but still one of the top treks in Uttarakhand, the Rupin Pass trail hides some of the most beautiful views in the state. It offers a variety of terrain to trek on, and moves from Uttarakhand into Himachal Pradesh. 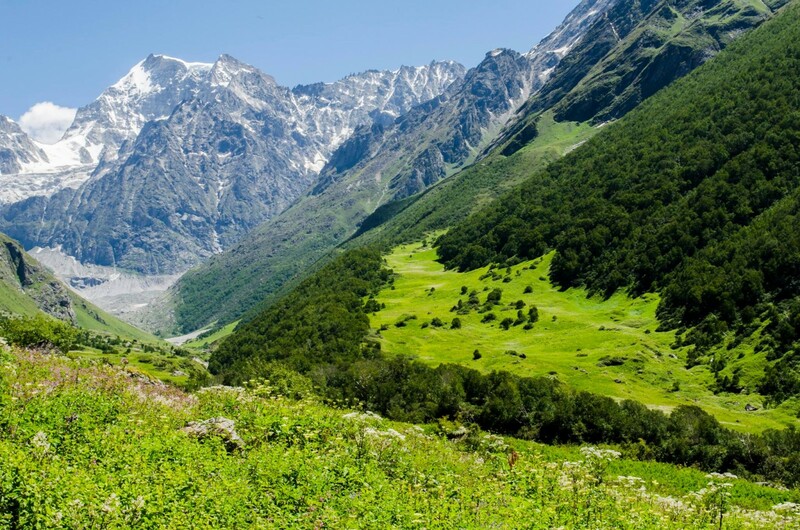 You’ll pass quaint mountain villages, towering cliffs and dense forests, and walk along the banks of the icy blue Rupin river, through pine-scented forests, and across rock-hewn ridges. The trek is a blend of medium to easy gradients, with some steep climbs over ridges. There is a steep ascent to Rupin Pass at 15,380 feet, making this a top trek in Uttarakhand that is recommended for trekkers with prior experience. The best time to visit is May to June and then from September to October. 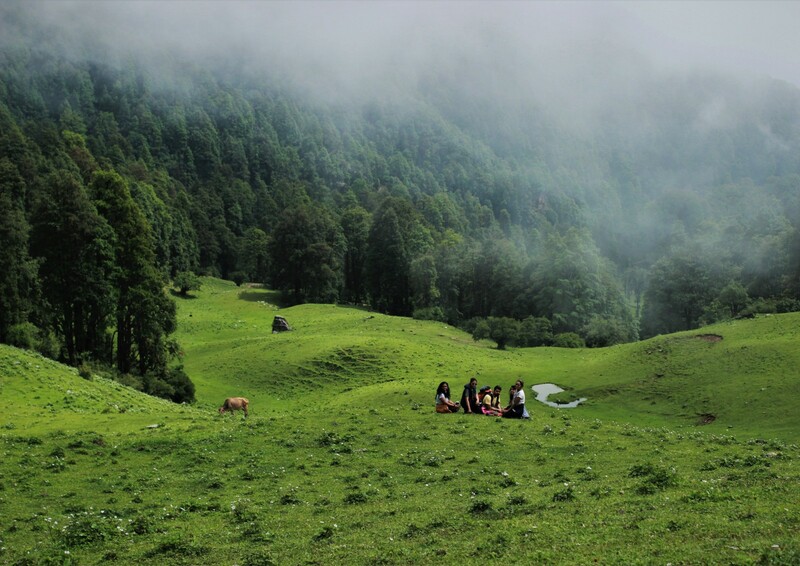 The Dayara Bugyal trek is considered to be one of the most beautiful top treks in Uttarakhand, with visitors describing their experience as nothing short of a fairy tale. This easy trek takes you up to one of India’s most beautiful high-altitude meadows, surrounded by towering Himalayan peaks, and offers you the chance to camp in scenic locations at every stop. The trek is recommended for everyone i.e families with children, nature lovers and adventurers alike. The Dayara Bugyal trek begins at Barsu and takes you through old oak and pine forests, up to an altitude of more than 10,000 feet above sea level. You’ll visit the famous alpine lake near Barnala Bugyal, and you’ll see famous peaks like Kala Nag, Bandar Poonch, the Gangotri Massif I and II, among others. Brahmatal is a high altitude lake which is believed to be the place where Lord Brahma meditated millions of years ago. What is unique about this trek is that even though the trail doesn't climb to the highest of altitudes, it offers stupendous views of some high peaks. 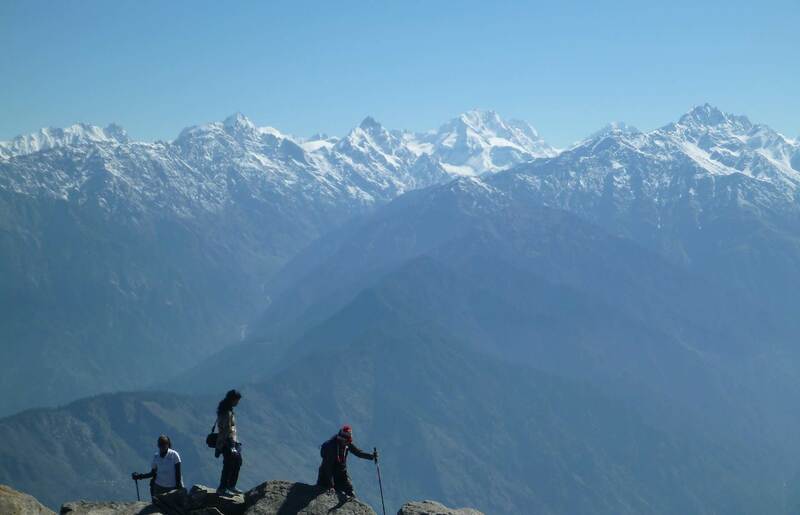 In fact it is the only trail in the country that offers views of summits over 7,000 meters at such close proximity, making it one of the easier top treks in Uttarakhand. A small alpine lake and dense forests adds to the beauty and is a treat for shutterbugs. This is an easy to moderate trek and is suitable for fit beginners, but you can expect some low temperatures in winter, so do come prepared.